OwenRunning: Sticking to the Goals. . . .
Sticking to the Goals. . . .
Now that school has started, I find it harder and harder to find time for the small things to help my running. Something that I started doing during the week of camp, was getting in the ice bath at least once a day, even twice when I could. Now, with school, I have to get in in between classes or after practice when the trainers room is still open. So far, I have been in the ice bath at least once a day since school started and I want to make that my new goal: Every weekday, get in the ice bath at least once. (I only say weekdays because the trainers room is rarely open on the weekends if at all). I also have another goal set out, something that I have never did in the past: Get on a set sleeping pattern. Go to bed the same time every night and wake up about the same time every morning. So far, this has been successful. I have been going to bed at 10 pm every night. This has made me feel great in the mornings and less tired during class and workouts. This is with the exception of Sunday night, I work until midnight, but I am in the process of getting my schedule changed for that day. It has always been the small things that make someone go to the next level. I just listed two things that I have not kept true in the past years in my training. Sure, I would go to bed early, but maybe only 2 or 3 times a week, and I might of got in the ice bath once a week. Now, I have set these goals in attempt to become a better runner. And it is also helping my education in a way of not being tired during the day. So, thats how it looks for me. 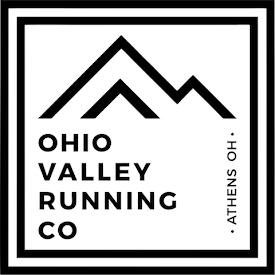 I am very excited about the next 88 days, and am confident with the workouts Eric has planned, running Hangover and Trails once a week, and the amount of miles I am doing and will be doing, the season will be my best season ever. You can do it! You can do it! Say it with me now. You got it mike. Stay consistent and maintain that fitness. Don't get crazy. Run your runs and workouts the way you are supposed to. Don't compete on days that you don't need to be. I have faith in you brother. Get after it! Yeah dude! I can do it! Winner(s) Winner(s) Chicken Dinner(s). . .